What did he mean by that? He meant that he understood enough about how his company worked — how it made and spent money, innovated, manufactured, marketed, and sold — that if called upon, he could manage the company’s operations, at least for a while. By the time you’ve become a senior communications professional, you ought to be able to “land the plane.” I’m not suggesting communicators must master engineering, chemistry, information technology or the law. But whether you are asked for a plan to launch a new product or are ripped away from your desk to help the company manage a crisis, your recommendations had better be rooted in a deep understanding of how things work where you work. Otherwise, your credibility with your boss will erode, and quickly. And even “insiders” can be myopic — so focused on the intricacies of their particular discipline they may never fully comprehend how things work in the field, or in the plant. Some companies rotate executives from one function to another. These tours of duty can mean that an engineer who has spent time in the PR department will understand the importance of a timely response to a media query (especially in a crisis), and be more helpful to the PR team. Here’s some advice I would give to anyone at any stage in her or his career, but especially if you are just starting out. If you work for a company that makes stuff, ask if you can take a tour of one of the manufacturing plants. Talk with the plant manager about the operation and maintenance of the facility. Find out what kinds of problems he or she has to grapple with. Ask if you can shadow a sales professional on a few calls. Learn the dynamic between sales and procurement, or detailer and doctor. See if you can sit in on some planning meetings with marketing, sales, operations and management teams — people you might otherwise never get to meet. There is no substitute for walking in someone else’s steel-toed shoes. Some fast food chains regularly put middle and senior executives behind the counter to experience dealing with the customers and stressed-out employees. Communication leaders might also want to think about paying for agency staff to have some of these experiences, too, as it will make their insights all the deeper. Become a voracious consumer of the trade press that covers your company. Understand the issues facing your industry, and how your competitors manage them; it will make you a valuable counselor to management. And for heaven’s sake, read The Wall Street Journal. Read it every day. It will provide context for what is happening to your industry and to the economy in general. If you can squeeze in the time for the Financial Times, Fortune and The Economist, so much the better. One other big benefit of all this research: The more you know about your company, the more likely it is that you’ll sense when something is not quite right and call it to the attention of those who need to know before it becomes a crisis. 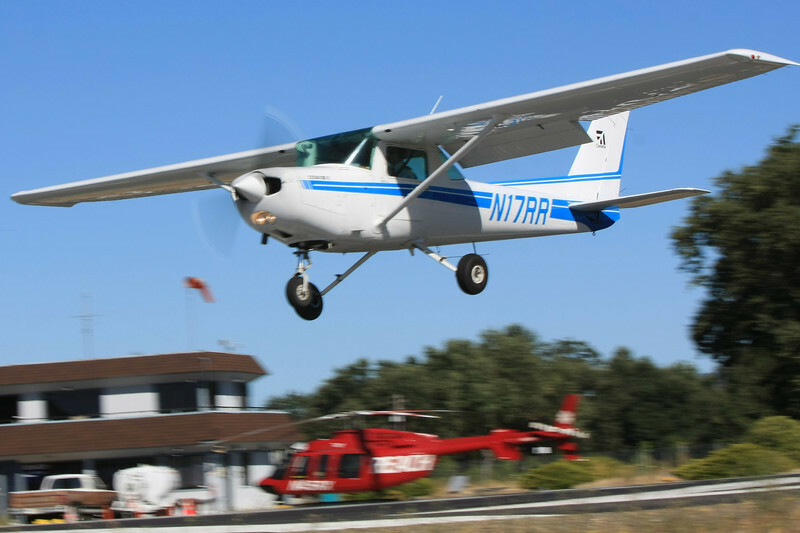 I actually did learn to fly and have landed a Cessna 152 like the one that appears at the top of this page and in this video: http://youtu.be/ZHrDDsm0UCc. Flying has taught me a lot of things, but none more important than to stay alert at all times. Things can happen fast in the air; the broader the view you take, the more likely you’ll see trouble coming early and get out of its way. Good career advice, too. Good post, Chris. I once interviewed for a job at one of the “Baby Bells.” The PR practitioner interviewing me had started his career as an installer. He picked up the phone on his desk and said, “I can take this apart and put it back together.” He was proud of his understanding of his business, and I’m sure it made him more effective in his job. An extreme example of your lesson, perhaps, but the point is the same: know your business, not just your craft. A great point, Ray. And he should have been proud. But that can sometimes lead to someone thinking that they know everything there is to know about the business and nobody can tell him anything. That didn’t work out so well for the record companies.